If you've been injured at work, you likely have a lot of questions. As Milwaukee workers compensation lawyers, we want to provide you with the information you need to make informed and educated decisions. Here are some of the common questions we hear with simple answers that can help you understand how best to proceed with a workplace injury. 1. Is My Work Injury Covered by Workers' Compensation? If you have been injured or become ill because of something that happened at work, you are probably covered under Wisconsin’s worker’s compensation laws. Nearly all Wisconsin employers are required to carry worker’s compensation insurance so that their employees are covered. The few notable exceptions are some employers with less than three employees, some farmers, and some volunteer organizations. In addition, injuries suffered by federal employees, such as post office workers, members of the military, certain railroad employees, and seamen, are not covered by Wisconsin’s worker’s compensation laws. It is important to consult with a Milwaukee workers' compensation lawyer to determine whether your employer carries the correct workers compensation insurance. If your employer is covered under the Workers Compensation Act, you are entitled to receive compensation if you have been injured while performing services arising out of your employment. This coverage starts on the first day of work. 2. What Should I Do if I am Injured or Become Ill Because of Something that Happened at Work? If you are injured or become ill because of something that happened at work, report the injury or illness to your supervisor and seek the necessary medical care immediately! Many times individuals believe that an injury is minor and will go away in its own. However, if the injury turns out to be serious or chronic, a delay in reporting this injury to your employer may jeopardize your right to full recovery. It is also important to get the medical attention that you need right away. This may include going to an emergency room, or just making an appointment with your primary care physician. Consult with a worker’s compensation lawyer at Murphy & Prachthauser to make sure you are getting the medical attention you need. In addition, it is important to keep the medical records and receipts that you are given because they may become important in the future. Call one of our Milwaukee workers' compensation attorneys if you want answers to your questions. Each workers' compensation lawyer at Murphy & Prachthauser is happy to take the time to talk to you about your case, explain the process, and answer your questions about your work injury case. Submit a free case evaluation. There is no charge for a phone or in-person meeting with a Murphy & Prachthauser workers' compensation attorney. 3. What Happens After I Report My Injury or Illness to My Supervisor? After you report your injury or illness to your employer, your employer should report this to its insurance company, or if the employer is self-insured, it should report this to its claims handling office. Your employer should report your injury or illness if you have incurred medical expenses or lost wages. The insurance company or claims office will then report your injury or illness to the Wisconsin Worker’s Compensation Division. A workers compensation lawyer at Murphy & Prachthauser can help to ensure your employer has properly reported your work-related injury. It is important to consult with a Milwaukee workers compensation lawyer at Murphy & Prachthauser so you know what your duties and rights are in dealing with the insurance company. The insurance company or claims office may contact you for information regarding the injury and the treatment that you have received. Many times the company will want to tape record your statement, or take a signed statement from you. While you should cooperate in giving information, you should decline their request to record the interview or to sign a written statement. This is not required under Wisconsin law. 4. 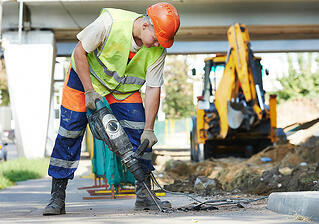 What am I Entitled to Under the Worker’s Compensation Laws? Benefits are available for lost wages, for reasonable and necessary medical expenses resulting from the injury, and for permanent bodily injury. Under certain circumstances, benefits may also be paid for retraining or for loss of earning capacity. Consult with a Milwaukee workers compensation lawyer to make sure you are receiving the benefits you are entitled to under the law. 5. What Benefits are Available for Lost Wages? Benefits for wages lost due to an injury or illness are equal to two-thirds of the employee’s wage rate, up to a specified maximum amount. In 2007, the maximum amount recoverable was $777. After January 1, 2008, that amount increased to $805. After January 1, 2009, the amount increased to $808. There is a three-day waiting period for compensation for time off of work. Unless your disability lasts more than seven calendar days, you will not receive compensation for the first three days you miss work. If, however, your injury lasts more than the seven day minimum, you will receive compensation for the first three days, and any additional days, you miss from work due to your injury or illness. In most cases, the first payment for lost wages will be made by the insurance company within 14 days of the last day you were able to work. A Milwaukee workers compensation lawyer at Murphy & Prachthauser can make sure you are receiving what you are due. 6. 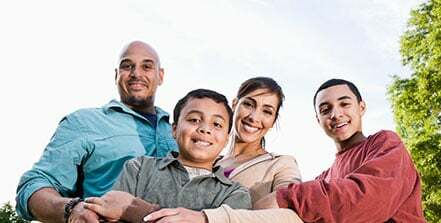 What Benefits are Available for Medical Expenses? The insurance carrier will pay for the reasonable and necessary medical expenses that result from the work injury or illness. The time limit for making a claim is 12 years from the date of injury or from the date of the last payment you received, whichever is later. An injured worker has the right to select up to two doctors, licensed to practice and practicing in this state, for treatment of a work injury or illness. Any additional doctors, or non-Wisconsin doctors, can only be seen upon gaining permission by the insurance company. If, however, you are referred to another physician by your doctor, the new physician can be from out of state and will not count against the two-physician limit. Consulting with a workers compensation lawyer at Murphy & Prachthauser will ensure your medical treatment is not being unnecesarily limited. 7. What Benefits are Available for Permanent Disability? The amount of benefit payment for permanent disability depends on the severity of the permanent disability and the body part that was injured. There are two types of permanent disability benefits for injuries from which you do not fully recover. Benefits for permanent disability can be partial (PPD) or total (PTD). In addition, injuries can either be unscheduled or scheduled. An unscheduled injury involves an injury to the spine (back or neck), the head (or brain), or the lungs. All other injuries are considered scheduled injuries. To determine damages for scheduled injuries, the doctor will assign a percentage of disability, and that percentage will be applied to a chart. The chart contains values (in weeks) for injuries to arms, hands, legs, eyes or other body parts. The percentage of disability is applied to the appropriate section of the chart (depending on the injury) to determine the number of weeks for which the injured employee is entitled to receive compensation. To determine damages for unscheduled injuries, the doctor will also assign a percentage of disability, and that percentage will be applied to a chart. 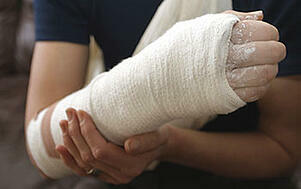 However, if you have an unscheduled injury, you may also be entitled to compensation for loss of earning capacity. If you are unable to return to work, and have suffered an unscheduled injury, you should consider a claim for loss of earning capacity. The Milwaukee workers compensation lawyers at Murphy & Prachthauser are available for a free consultation so you can make sure you are receiving the earning capacity benefits you are entitled to under the law. 8. My Doctor Wants Me to Return to Work, but I Don’t Think I Can Do My Job Because of the Injury. What Do I Do? If your doctor wants you to return to work, you should attempt to do so even if you do not feel you can do everything involved in your job. It often is to your advantage to return to work early within the limitations set by your doctor. You will be in a better position to obtain additional benefits if you try, but fail, than if you simply refuse to return to work when your physician feels you are ready. As an alternative to returning completely, your doctor may place you on “light duty.” In this situation, your physician may instruct you to avoid certain parts of your duties, such as heavy lifting, which he considers to be too strenuous. In some cases, “light duty” may not allow you to do the job you were doing before the injury. If your employer does not have light duty work as allowed by your physician, then the insurer should continue to pay total disability payments until you are able to return to your previous position. Consult with a Milwaukee workers compensation lawyers at Murphy & Prachthauser to make sure you don’t do anything to jeopardize your right to workers compensation benefits. 9. What if My Employer Does Not Rehire Me Once I Can Return to Work? An employer is not required to hold a position open or create a new position once you are released to return to work. However, if your employer has employment available that falls within your restrictions, it should be offered to you. If your employer, without reasonable cause, refuses to rehire you when suitable employment is available, you may be able to collect lost wages for up to one year. Consulting with a workers compensation attorney will ensure your employer is treating you fairly and within the law. 10. How Do I Get Vocational Rehabilitation Services? If you cannot return to your previous employment because of a permanent disability or restriction imposed by your doctor, you may be eligible to receive retraining and placement assistance. If you have permanent work restrictions as a result of your injury, you should submit documentation on these restrictions to your employer so that they can determine if work is available for those restrictions. If your employer does not offer “suitable” employment, you may have a claim for vocational rehabilitation services. A “suitable” position is one that pays at least 90% of the wages you were receiving at the time of the injury and meets the permanent work restrictions imposed by your physician. The Division of Vocational Rehabilitation (DVR) will determine your eligibility for these services. You may receive vocational services from either a public or private vocational rehabilitation program. The DVR is a public program that generally works only with the severely disabled. If that entity cannot provide you with the needed services, you may get help through a private vocational company. To fully understand your rights to vocational retraining and other services to get you back into the work force, it is a good idea to consult with one of our Milwaukee workers compensation attorneys. 11. What if I or a Co-Worker are Partially to Blame for Causing My Injury? 12. My Employer Was Grossly Negligent and that is Why I was Injured. Can I Sue My Employer? No, an employer is almost never liable for anything other than worker’s compensation. However, you may be able to sue companies or corporations other than your employer if they were negligent and caused your injuries. Examples include other contractors on a construction site or machinery manufacturers if you were injured by a defective machine. These cases are commonly called “third-party cases” because your injury may occur as the result of the fault of someone other than you or your employer. Our workers compensation attorneys understand it is important to thoroughly investigate all aspects of your work accident, getting our Milwaukee personal injury lawyers involved, to make sure all your rights are protected. 13. What Attorney Fees Apply to a Worker’s Compensation Claim? Attorney fees are set at 20% of the amount in dispute. If you have a workers compensation case you would like to speak to a Milwaukee workers compensation lawyer about, please contact us to schedule a free consultation and get an experienced team working on your behalf.